Featuring a private pool with sun terrace, the stone-built Villa Despina is within short walking distance from Prines Village. It offers a fully equipped unit with free Wi-Fi and a fireplace. Rethymno Town is 4.3 mi away. Fitted with arches and beamed ceilings, this air-conditioned and split-level villa of Despina opens to a balcony with Cretan Sea, mountain and garden views. It consists of 3 bedrooms, a seating area with sofa and flat-screen, satellite TV as well as a kitchen with stove and dining table. A washing machine is included. 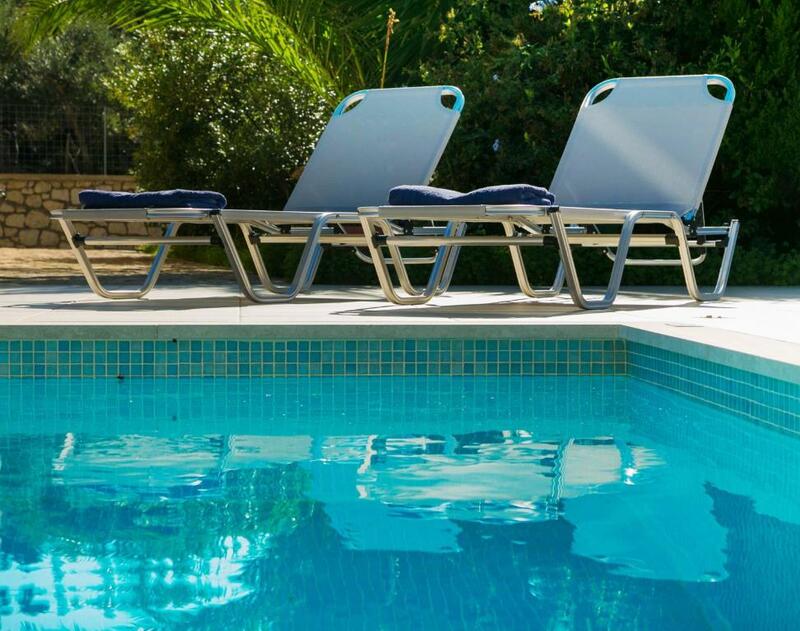 Guests may relax at the sun loungers of the sun terrace by the pool. BBQ facilities and a garden with plants are available. Villa Despina provides breakfast and allows guests to choose from a variety of breakfast options and having it delivered at the villa in the morning hours. Several mini markets, restaurants and café bars can be found within proximity. The scenic old harbor of Rethymno Town is approximately 4.3 mi away. Chania Town is at a distance of 35 mi and Ioannis Daskalogiannis International Airport is 40 mi away. When would you like to stay at Villa Despina? A villa made of limestone with beautiful views towards the seaa and the surrounding hills. Just outside the village of Prines, higher from the sea level with great climate. The village of Prines is at walking distance. Managing the property and coordinating communication between the owner and travel offices. also coordinating reservations. An Oxford Graduate, with nearly 22 years work experience in Information Technology and Marketing. Also a Greek/British Citizen. Quiet, slightly off the beaten track. House Rules Villa Despina takes special requests – add in the next step! Guests are strongly advised to have their own vehicle. Kindly note that the property will be cleaned once a week and change of sheets and towels happens once a week. Please inform Villa Despina of your expected arrival time in advance. You can use the Special Requests box when booking, or contact the property directly using the contact details in your confirmation. We need at least 5 reviews before we can calculate a review score. If you book and review your stay, you can help Villa Despina meet this goal.